Networking Tips for Introverts | Welcome to Coach's Corner! We’ve all been there – the dreaded “networking” meet and greet situation. Some of us – the extroverts – often find these situations easy (or even exciting) to delve into. Others of us (the not-so-extroverts) can find these situations challenging, however. If you fall into the latter category, this post is for you. The following tips, originally published on GetFive, are an excellent starting point for someone finding themselves (possibly uncomfortably) in a networking situation. The annual Chamber of Commerce dinner is being held after work tonight. Does the idea of attending fill you with anticipation or dread? Extroverts love the opportunity to meet and greet, make connections, and chat with new people. It energizes them and revs them up. Introverts, not so much. Even the idea of a room full of people at a chamber dinner can cause the energy to drain out of them. Schmoozing and small talk — the lifeblood of networking — is painful and awkward. But, like it or not, when it comes to business and career advancement, networking is a vital tool. It comes naturally to extroverts, but with a little planning, introverts can navigate those events like a pro, too. If you know who might be there — other members of the chamber, say — jump on LinkedIn and look them up. 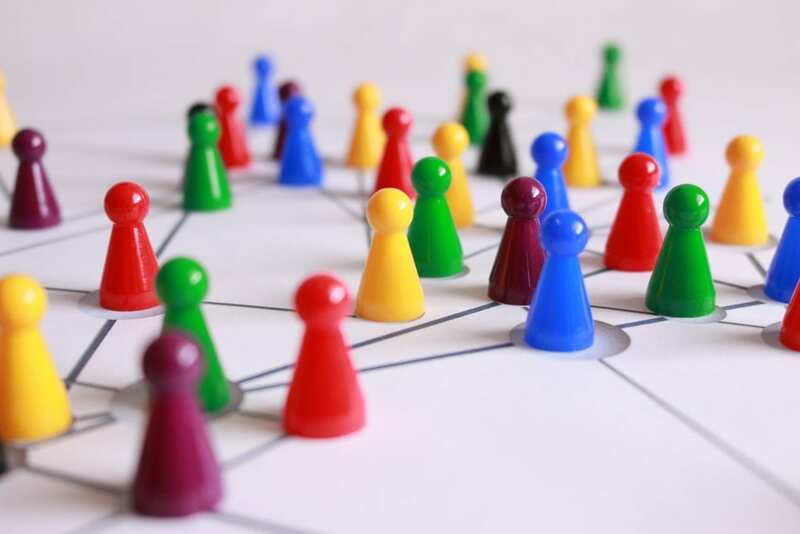 See if you have any shared connections and look for other commonalities in their profiles. That way, they won’t feel like complete strangers. One stifling problem introverts have with networking is the dreaded conversation starter. You’re waiting for a drink at the bar, standing next to someone. What do you say? To keep the conversation going, don’t give one-word answers to questions. Instead, say something that will hook the other person. Don’t go into the event thinking you have to stay for the entire time. Give yourself 30 minutes or an hour. That way, it won’t seem so overwhelming when you walk in. You don’t need to come away from the event with a stack of business cards and email addresses after having worked the room like a seasoned politician. Give yourself the goal of talking to three new people, and once that’s accomplished, call it a success. Using these tips, networking will be easier. We’re not going to say you’ll learn to love it, but you can make it work for you. And that’s the whole point. Posted by Alumni Career Management at 5:44pm Posted in Career Fairs, General Career Advice, Networking. Bookmark the permalink.